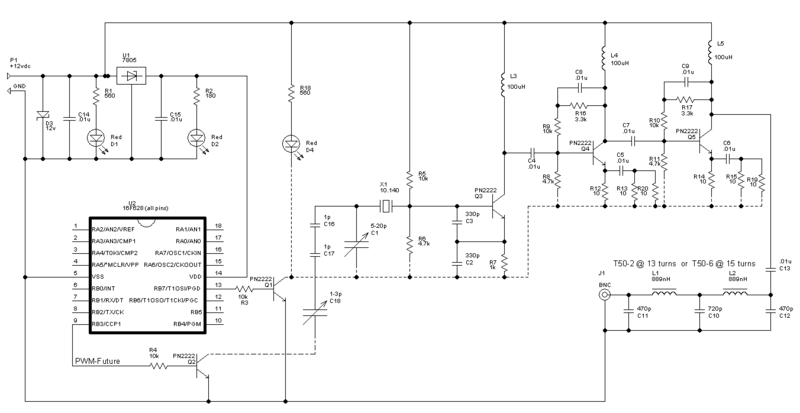 Click on the image to see a larger version of the schematic. 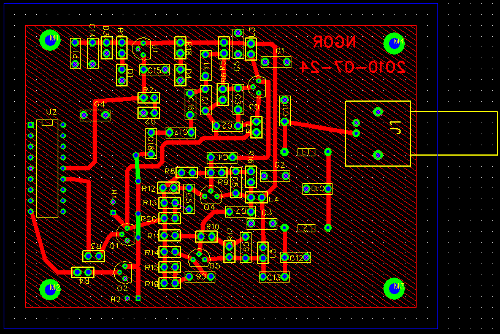 I then exported the TinyCad schematic into FreePCB to layout the board (below). 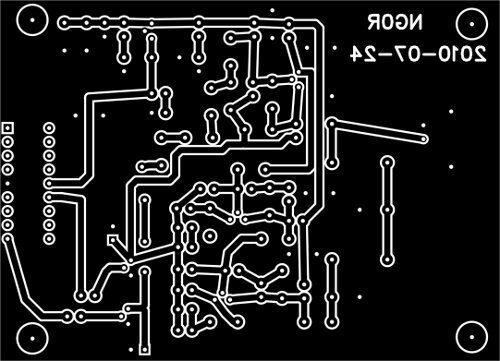 I then exported the board layout into the appropriate Gerber and PNG formats. 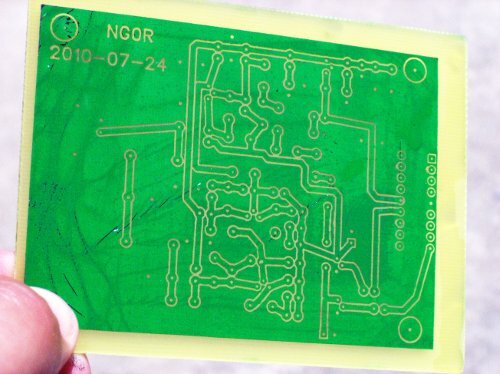 I then printed the artwork on some blue print and peel paper with my laser printer and then taped it to the 3x4 inch piece of single sided circuit board. 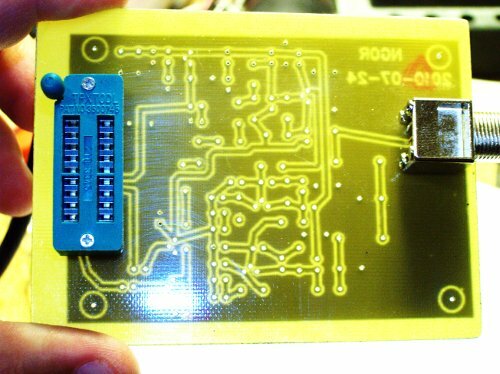 I then ran the combo through my modified laminator to transfer the laser toner to the circuit board. 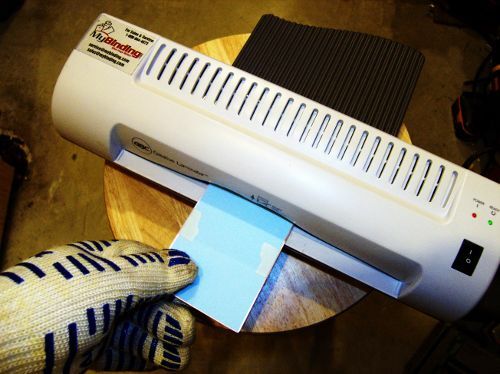 Four passes through the laminator is enough to bond the toner. 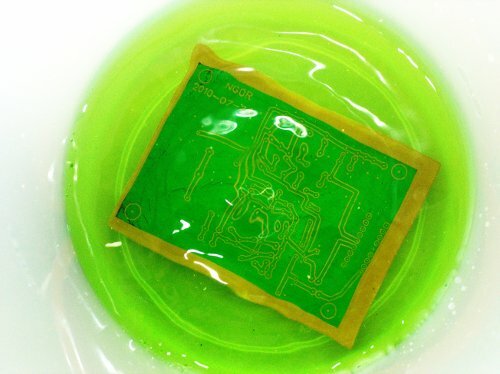 I placed the board into the etchant for about 10-15 minutes. I agitated the container about every 3-4 minutes with a quick swirl motion. 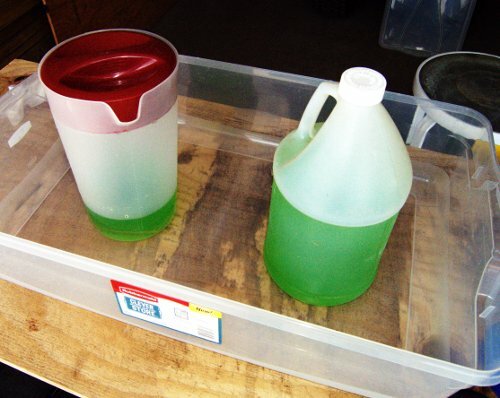 After the copper was dissolved I used some rubber gloves to pick up the board and transfer it to a container of water to rinse it off. 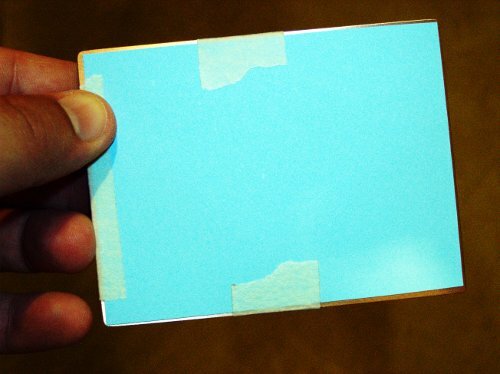 The copper is green in this picture because the green foil sealer is still on the board. I then rinsed the board with some Acetone which dissolved the foil and laser toner. I then drilled the holes with a Dremel press and some #67 drill bits. I used some slightly larger bits for the ZIF and BNC connectors. I will try to get the parts stuffed and soldered down Monday night. After that I should be able to measure the power and validate that the harmonics are down at least 43db. 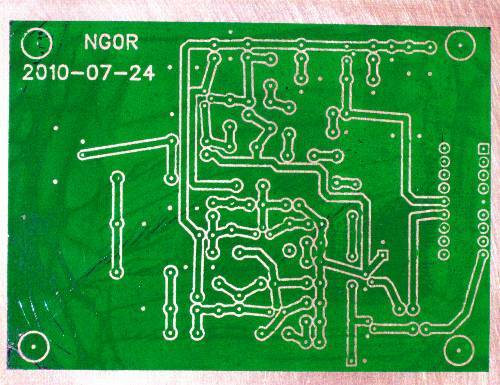 This is not the best board that I have etched so I would only rate it about a 7 out of 10 because of the green foil. 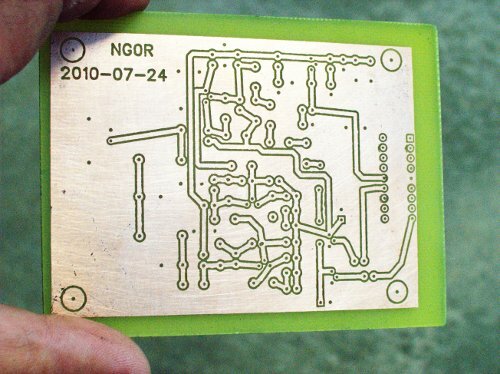 It is the most complex that I have tried etch because it was originally designed a dual sided PCB. The ZIF and BNC provided a couple of initial challenges but I think that I have solved those as well. This has been a very enjoyable project... lots of learning and challenges.